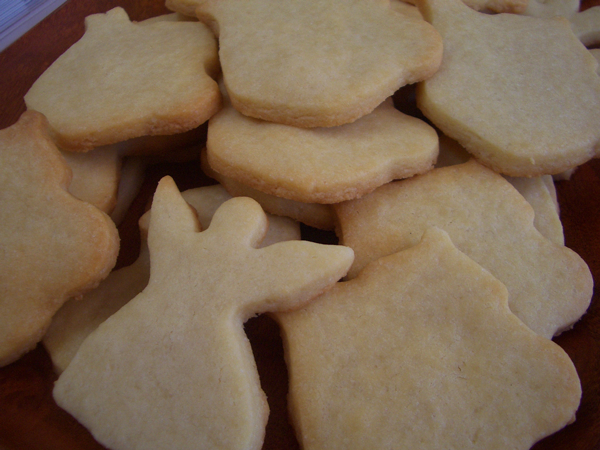 Sugar cookies should be fun–to make, to eat. 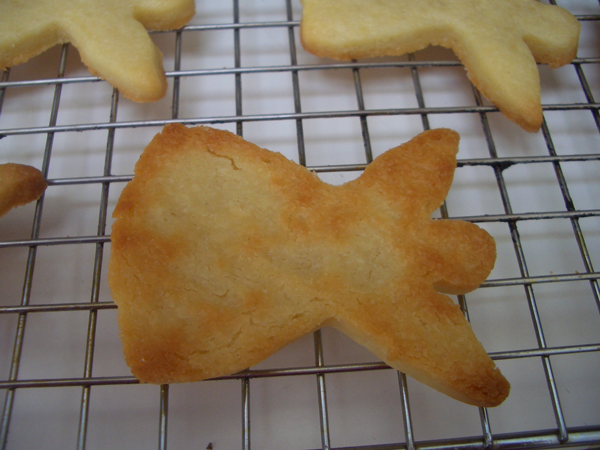 But working with sugar cookie dough is a bit tricky. 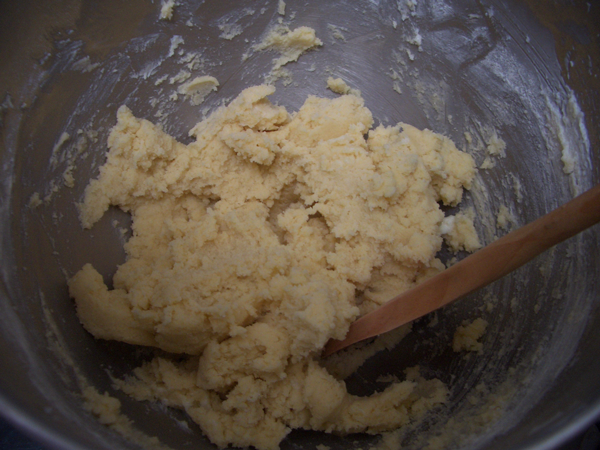 Most recipes contain a lot of butter which adds the melt-in-your-mouth factor, but makes the dough very hard to handle. 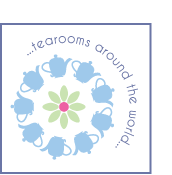 Some recipes call for leavening ingredients that puff the cookies to the point all cut edges are lost. Some doughs are too dry and burn to a crisp. And then there’s the detail that most sugar cookie dough needs to be refrigerated overnight for the best results. For those who don’t read recipes all the way through before beginning that last one is always a drag. I’ve played with a lot of sugar and butter cookie recipes over the years and this is the one I like best. There’s a tad more flour than in a lot of recipes so it’s easier to handle, yet they are still quite buttery. There’s no baking soda or powder because I want to see the edges of the shapes I’m cutting. 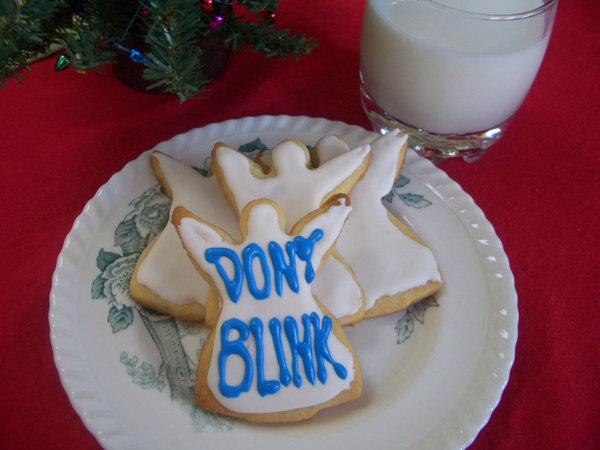 The angels were inspired by my husband’s Dr. Who fixation. A fan since he was a little boy he has seen and owns every episode there is. I have watched a scattered few, and the original Weeping Angels episode was one, and their image was, um, memorable. It might not scream “Happy Holidays” to all, but I think the holidays require a sense of humor and these fit the bill. And they might help keep Santa in line lest he think twice about completing his route. Note: This was enough icing for my batch of cookies, but if you want lots to play with double the recipe. 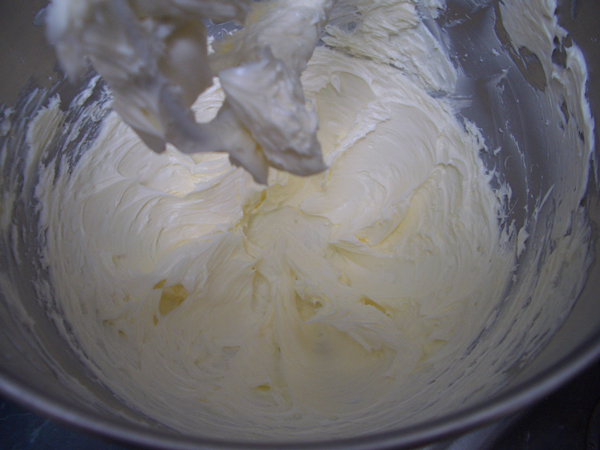 Using a stand or hand mixer on high speed, cream the butter until it’s light and fluffy. Reduce the speed to low and add the sugar one quarter cup at a time, mixing thoroughly in-between each addition. Add the egg yolk and the vanilla and mix thoroughly, scraping the sides and bottom to make sure all the ingredients have been incorporated and evenly distributed. Sift the flour and salt together and add to the butter mixture with the mixer on low speed. Mix until all the flour is incorporated. Turn the dough onto a work surface and divide the dough into two or three disks, depending on the size of your work surface. If you have a big marble or cutting board to roll things out you don’t need to divide the dough at all. Refrigerate the dough for at least two hours. Remove the dough from the refrigerator and let it sit at room temperature for about 15 minutes. Place the dough between two sheets of parchment or waxed paper for rolling. The dough will be firm when you start to roll it out and will soften the more you go over it with the rolling pin. 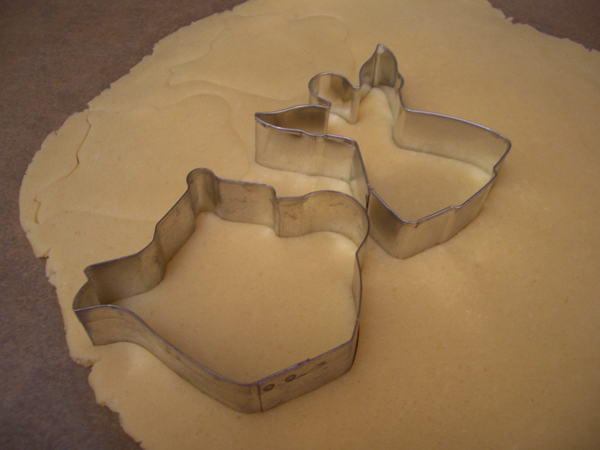 Roll the dough to 1/8 to 1/4 inch (3 to 6mm) thickness depending on how you like your cookies. Cut your shapes. Lift the excess dough from around the cut shapes. Carefully move the cookies to a parchment lined cookie sheet. This dough isn’t as delicate as some so you can use your hands. If you want to keep the cookies just so, use a spatula. 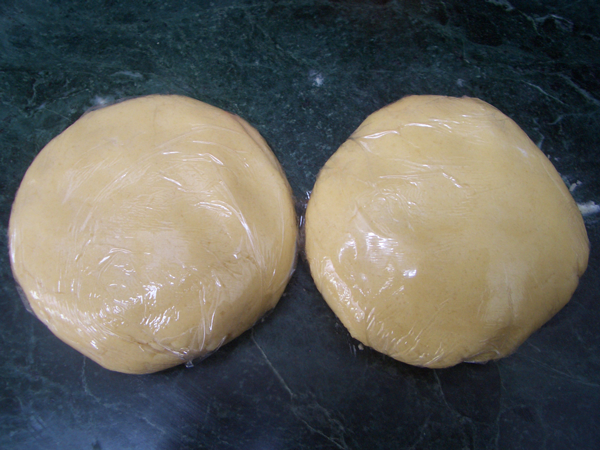 Press the excess dough together into a ball, roll, cut, repeat until all dough has been used. This is a pretty forgiving dough, but if you’re working in a hot kitchen or for whatever reason the dough becomes too soft to lift effectively, ball the dough back up and refrigerate it for a while to firm it up and give it another go. Bake in preheated oven for 10-12 minutes. Flip the sheet halfway through the cooking time to keep the color even. The cookies should be light brown on the bottom and around the edges. Let the cookies rest on the baking sheet on a rack for five minutes to firm up, then use a spatula to move the cookies to the rack to cool completely before icing. Combine the powdered sugar, egg white powder, water and vanilla in either the bowl of a standing mixer or a medium bowl if you’re using a hand mixer. 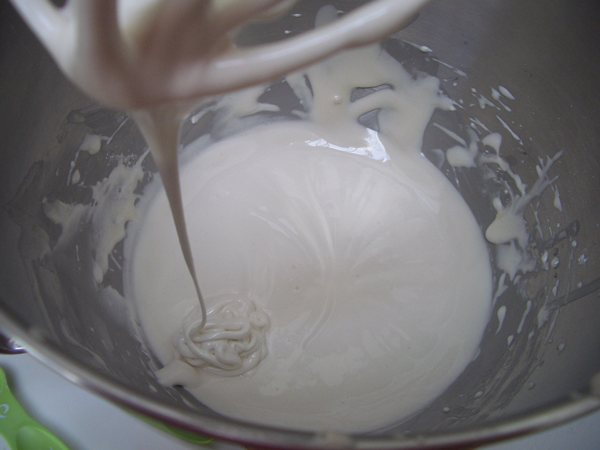 Mix on high speed, periodically scraping the sides and bottom, until the icing is thick, about five minutes. If the icing becomes too thick you can thin it with a little water. Divide the icing into smaller bowls, one for each color you want to use. Add the food coloring to each bowl and blend. 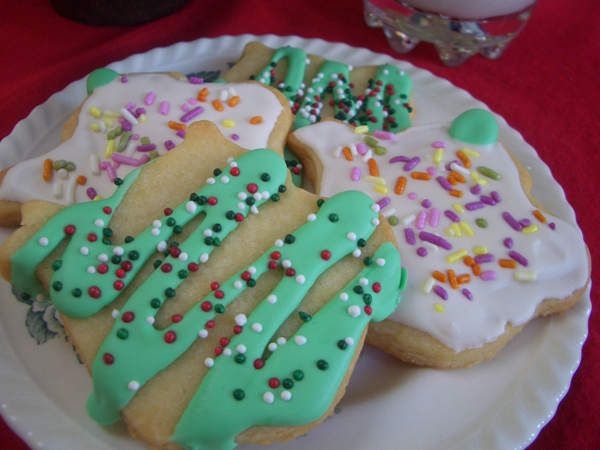 Use a knife to spread the icing on the cookies. Add sprinkles, colored sugar, etc. Let the cookies air dry uncovered for about an hour or until the icing hardens. They can then be stacked in a container without smearing. 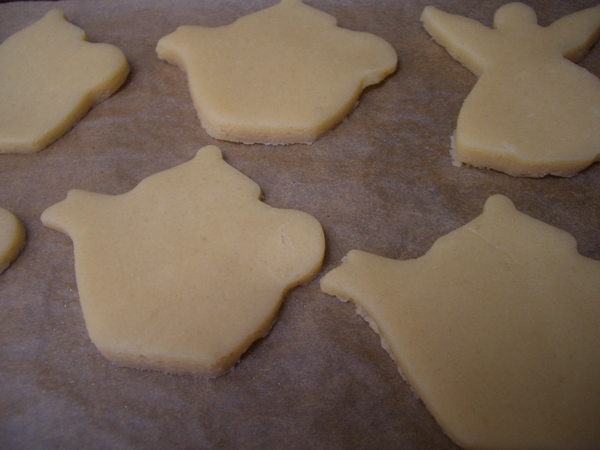 But if you want to keep them pristine… put a layer of parchment or waxed paper between each layer of cookies.